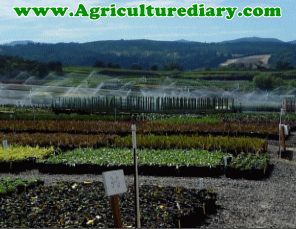 Agriculture Diary - Getting all aspect of agricultural records and updates for quality farm products. Brooding of Day Old Chicks is an integral part of poultry production, and in fact, some farmers only specialize on Brooding, than after the brooding stage they sell out to other farmers who can’t go through the stress of brooding day-old chicks. When it comes to the rearing of animals like Pig, you should know that sourcing their feed ingredients should be the first thing to consider and a farmer. And as a pig farmer, you have to always work with measurements because pigs are never satisfied, yet they grow faster and remains a highly prolific animal. The Importance Functions of Water in Plants Water is a chemical compound consisting of two atoms of hydrogen joined to one atom of oxygen (H2O). in this write up you shall see The Importance Functions of Water in Plants.